List of Courses Offered at Bahir Dar University | Official List of Bahir Dar University Courses and Requirements… The list of Undergraduate and Postgraduate courses/programmes offered at Bahir Dar University approved by ENAO. Are you looking for the list of Undergraduate courses available at the Bahir Dar University (BDU)? The following is the list of available Undergraduate, Graduate, Diploma courses/programmes offered at Bahir Dar University that has gained Ethiopian National Accreditation Officie (ENAO) accreditation. 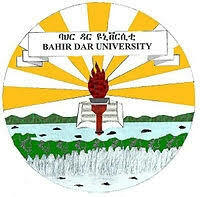 There are several Courses offered at Bahir Dar University BDU. After going through the under-listed available courses, you can check the Admission – Entry Requirements Here.